I was meeting some friends for dinner and wanted to bring them a little something. 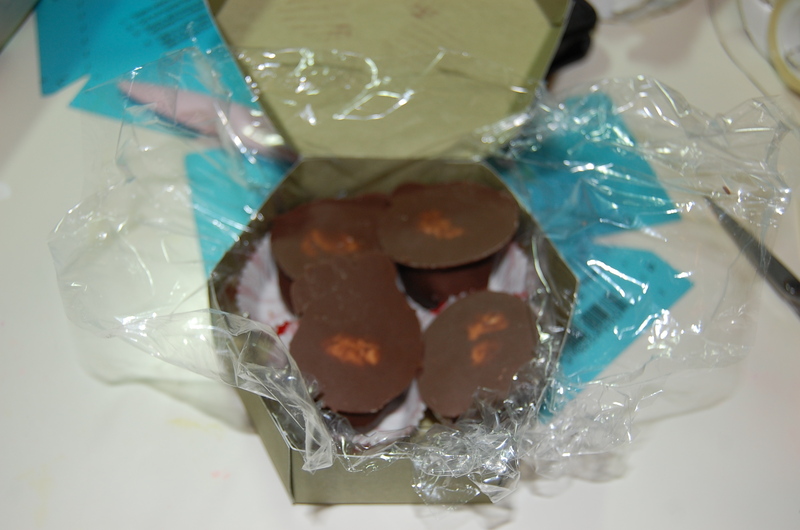 I decided to make a little box and put some peanut butter balls in it that I had just made. I bought this template at least 12 years ago but I am sure it can still be found. You have to use somewhat heavy 12 X 12 paper for this. I traced it on to the paper. 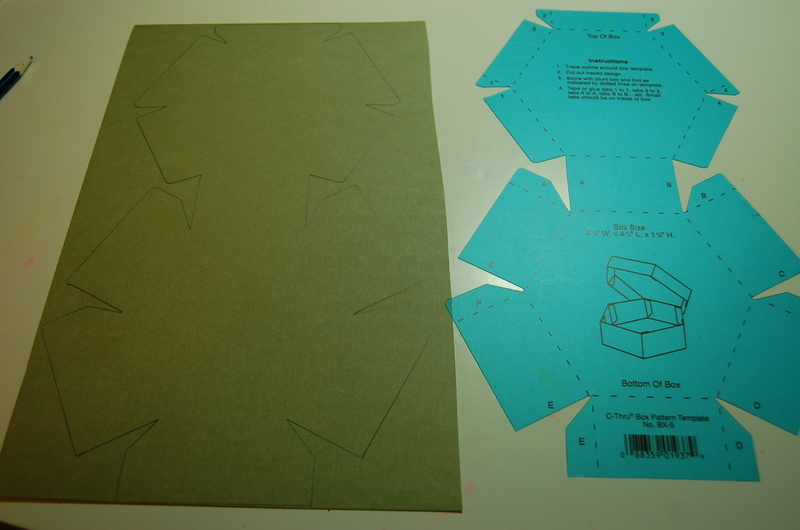 I scored the lines with a bone folder and then cut it out. I folded all the score lines and also stamped a design onto the top. The tabs can either be taped or glued. 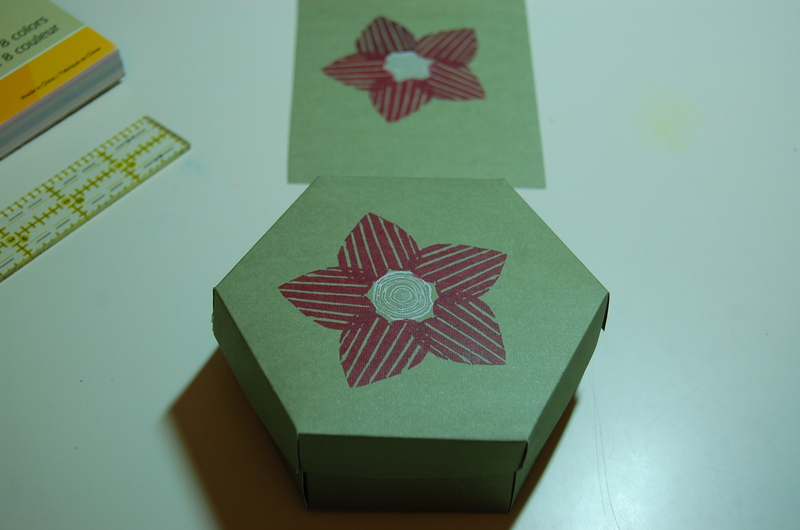 I used my handcarved stamps for the design and here is the box shown put together. I picked up these cut little cups at Michaels Crafts. 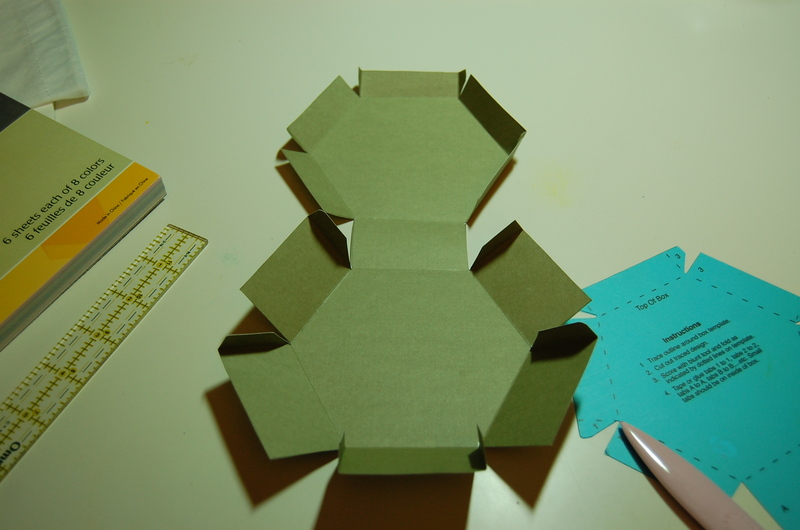 The box will hold four pieces. I had put in some plastic wrap first to keep the candies fresher. I then put in four little cups. The peanut butter balls sometimes didn’t fit in the cups because I leave so much yummy chocolate at the bottom to bite off. I them put them in upside down. 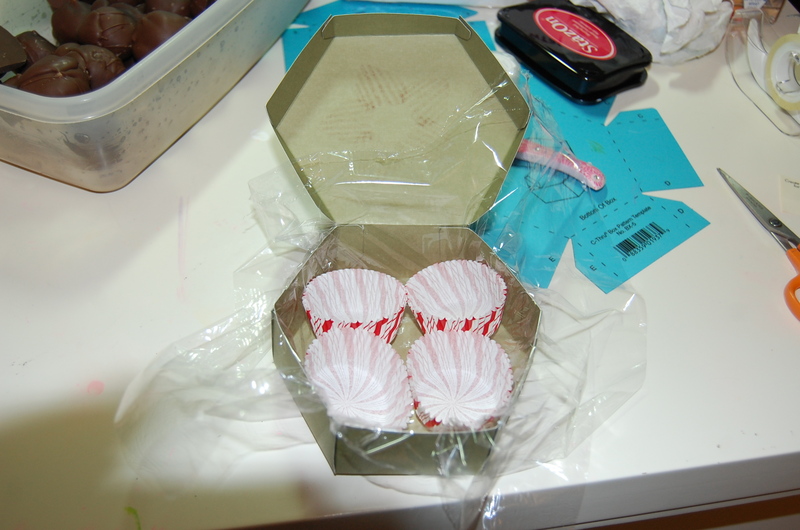 I folded the plastic over them. 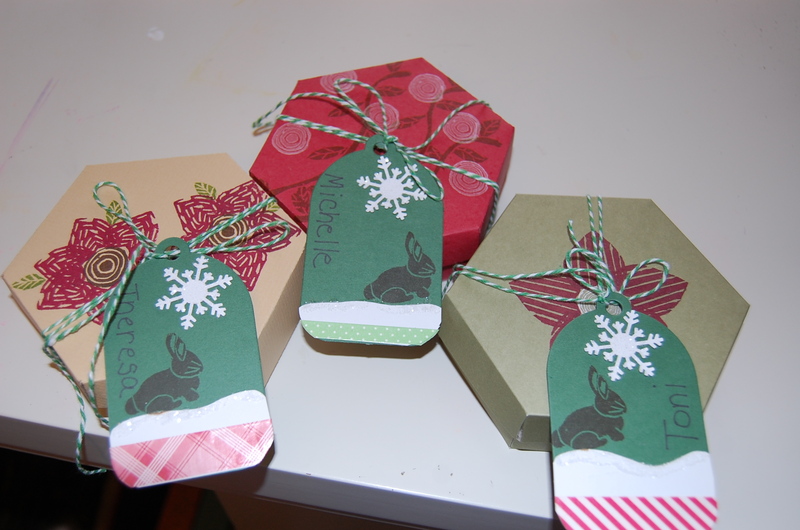 I made three different designs and colors of boxes and three different tags also. That little bit of washi tape just adds to the look. These have been submitted to the Anything But A Card on Sweetstamps. Someone just had to check out the strings. 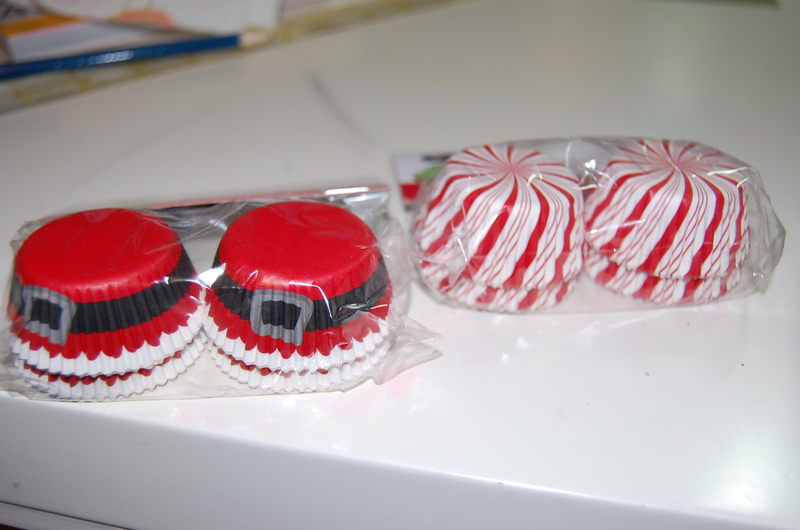 These were fun to make and nice to give a little something. Hey, as always….. thanks for stopping!